InfoPolis.Monitor - the server software for managing self-service terminals. InfoPolis.Monitor - a tool for centralized management of network terminals. This innovative solution allows you to manage a vast network of self-service terminals. InfoPolis.Monitor allows you to efficiently manage the entire terminal as well as its individual components. 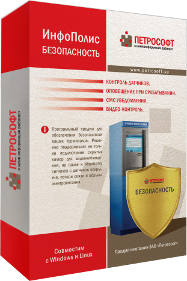 InfoPolis.Bezopasnost - client-server software for self-service terminals. InfoPolis.Bezopasnost - software for network security terminals. The solution not only supports the connection of hidden cameras for surveillance, but also the processing of signals from the sensor opening, loss of communication and breaking the power supply. 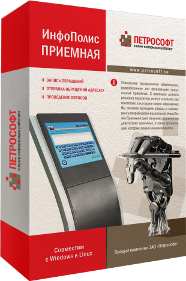 InfoPolis.Priemnaya - software for self-service terminals, which allows to organize sociological surveys and customer feedback. InfoPolis.Priemnaya - is a unique tool designed to foster virtual organizations. With this decision, visitors will be able to leave both text and audio-video conversion. You will be able to carry out surveys and monitoring of customer needs. InfoPolis.Priemnaya one of the best decisions for the deputy receiver, as well as organizations to which the opinion is important to customers. 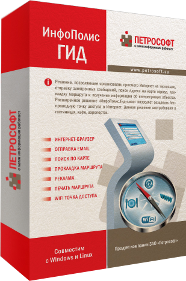 InfoPolis.Platezh - software for installation on a self-service terminals. InfoPolis.Platezh - modern reliable solution for payment acceptance points. 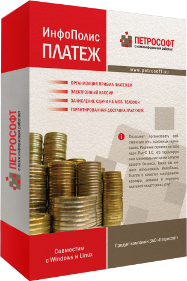 A feature of this software package is the possibility of making payments through the most appropriate payment gateway. InfoPolis.Platezh constructed on the basis of Platz, which allows for guaranteed delivery. InfoPolis.Gid - a flexible solution for installation on a self-service terminals. This software will allow to attract more customers to your terminal. The main purpose of InfoPolis.Gid - organization web sites in public places. You can place a self-service terminal in the cafe, at a gas station waiting room. InfoPolis.Gid modern solution-oriented travelers. To operate the complex software needs access to the Internet. With InfoPolis.Gid you can arrange additional advertising space. InfoPolis.Gid uniqueness lies in the fact that the product includes a module for displaying advertising on the secondary monitor. You can also use InfoPolis.Gid as a standalone tool for displaying advertising on the screens of all sizes and resolutions. 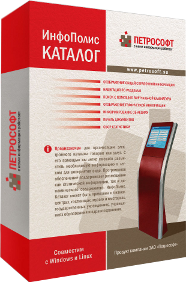 InfoPolis.Katalog - software for installation on a self-service terminals. 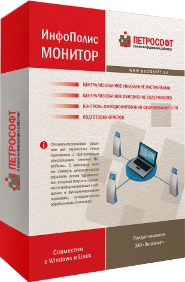 InfoPolis.Katalog helps to organize the electronic catalog of goods or services. With it you can easily place the necessary information in an easy-to perception. The software supports the placement of a static information and dynamic content. With this software you will be able to provide its customers with comprehensive information about your services. InfoPolis.Katalog easy to install and set up that allows you to quickly enter it into the business processes of your enterprise.